Gumbo-limbo trees are massive and almost indestructible. They were used in the early years of Florida development as starting stakes for county surveys. 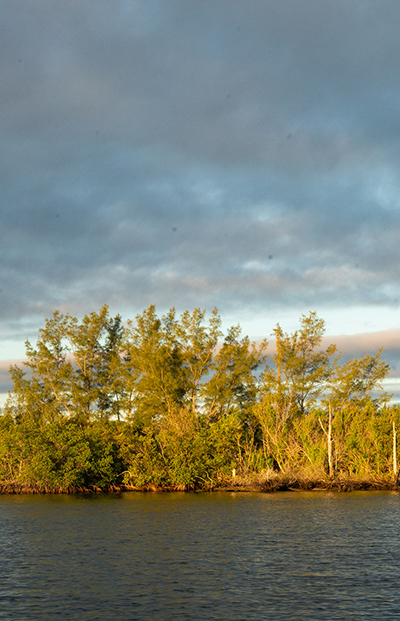 Legend has it that a gumbo-limbo tree was used in the 1800s when the Juno area was first surveyed. Years later, when the land was again surveyed for the Celestial Railroad, the tree had surprisingly disappeared. A second gumbo-limbo tree was chosen, but it too had vanished by the time a survey was undertaken in 1918 for US1. This time the engineers took no chances, placing a concrete monument as a starting point for their survey. This monument too had disappeared when the area was again surveyed in 1948. The “lost tree” legend appealed to Llwyd Ecclestone when he heard it in the late 1950s. Mr. Ecclestone decided that “Lost Tree” would be an intriguing name for the golf club he was developing in northern Palm Beach County. The natural beauty and superior ambience of communities like Lost Tree Village and John’s Island are the direct result of the extraordinary vision and unwavering commitment of the Ecclestone family. Since its founding, the Lost Tree Village Corporation has implemented this vision and continues to this day the family commitment to exceptional places. E. Llwyd Ecclestone Sr. was a man with an expansive vision and an abiding belief in the beauty and harmony of place. As residents of Grosse Pointe, Michigan, he and his family were an integral part of the economic, social, cultural and philanthropic life of a community known for its lovely homes, tree-lined streets and civic pride. When he laid eyes on the area we now know as Lost Tree Village in northern Palm Beach County, he could envision a similar community of luxury housing built around a world class golf course and a delightful synergy with the natural environment. He recruited the best talent in architecture and construction for his project, individuals known to him from the superior quality of their work in Grosse Pointe. Since its opening in 1959, Lost Tree Village has flourished, and the name has come to epitomize both elegance and community spirit. 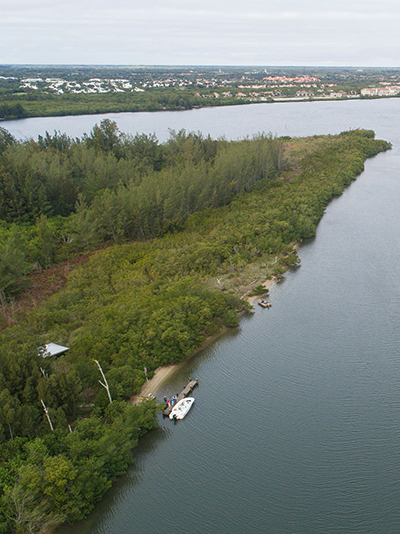 Always eager for a new challenge, Mr. Ecclestone next turned his attention to a jungle-like 1,600-plus acre stretch of land between the Atlantic Ocean and the Intracoastal Waterway in Indian River County. It was just what the residential developer had been looking for as his next project. John’s Island began in 1969 ---a private, family-oriented community where the best lessons from Lost Tree Village and Grosse Pointe would be incorporated and where the natural beauty of Florida would be both preserved and enhanced. He continued his work as a philanthropist, founding the Research Century Club for the Miami Heart Institute, for example, where he raised more than $1 million a year for heart research and health care, while inspiring others with his concept for John’s Island. His death in 1981 was grieved by family, friends, and the entire community. Helen Ecclestone Stone, affectionately known as Lollie, is the beloved daughter of E. Llwyd Ecclestone and the forceful visionary behind the development of John’s Island into the remarkable community it is today. When Mr. Ecclestone died, his project on John’s Island was only one-third developed. With a deep understanding of the hallmarks of Lost Tree Village that her father had imbued in her, Lollie dove into the project with full force and vigor and a vision to create a truly spectacular community connected with the natural environment of the area. No decision was made without her discerning eye. Under her leadership and direction, the enchanting 1,650-acre John’s Island community was developed over time and includes three golf courses, two golf clubs, a beach club and 1,225 houses, cottages and condominiums.